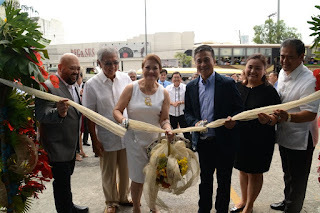 United Asia Automotive Group, Inc. (UAAGI), the official distributor of Foton vehicles on the Philippines has officially added Foton Quezon Avenue to its list of dealerships in the Philippines. Foton Quezon Avenue is the 19th showroom of the brand in the Philippines and is part of its continuous expansion in the country. The latest addition to the Foton network is operated by the Manindra Auto Corp. headed by Mr. Amando San Juan, Ms. Carmen San Juan and Mr. Leo San Juan. The Manindra Auto Corp. has been a strong player in the automotive industry. They own and operate multiple dealerships around the country under two other automotive brands. UUAGI and Manindra will work hand in hand to cater high quality commercial vehicles to the Philippine market and to accomplish Foton’s goal to be the top choice for commercial vehicles for both business and leisure use. With an excellent mix of Passenger Vehicles, Light Duty Trucks, Heavy Duty Truck and Heavy Equipment, Foton has constantly grown its brand reach throughout the years. Mr. Rommel Sytin, President of UAAGI expressed his confidence in the brand and in the new partnership. “The first quarter of the year has proven very fruitful for us. First with the opening of the new assembly plant in Clark and now another milestone, the opening of the new Quezon Avenue Showroom. With the support of the whole Quezon Avenue team, we are confident that the Quezon Avenue showroom will be a significant contributor to the brand and the company’s growth.” Mr. Sytin said in his speech.